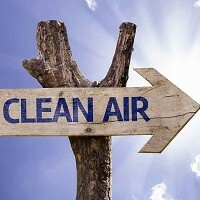 Home » FAQs » How can I Improve my Indoor Air Quality? There are many things you can do to improve your indoor air quality (IAQ). Things like using a high-quality air filter and changing it on a regular basis is a good start. The addition of humidifiers and other air quality devices can also improve your indoor air quality. See below for a list of the top 5 things you can do to improve your home’s air quality. 1.) Keep your floors clean. Vacuuming and mopping your floors will vastly cut down on dirt, dust, pet dander and other pollutants that are dragged into your home each time someone enters the house! 2.) Replace your furnace filter. The average 1″ furnace filter needs to be replaced every 1 – 3 months to ensure it is catching the pollutants that pass through. To help improve your IAQ even more, increase the MERV rating to catch the smaller pollutants like mold spores, smog, smoke, bacteria, and other allergens. 3.) Keep a healthy level of humidity. Dust mites and mold love high humidity levels (anything above 50%). 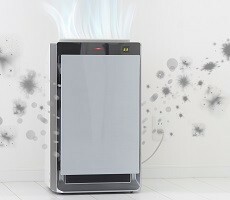 Installing a dehumidifier can help tame these pollutants and allergens from becoming bothersome. 4.) Make your home a smoke-free zone. One of the most prevalent causes of indoor air pollution is caused from second hand cigarette smoke. Cigarette smoke contains more than 4,000 chemicals which can vastly decrease the quality of your indoor air. 5.) Get an Air Cleaner. This solution can range from small portable air purifier models to whole-home ducted systems. Air cleaners can remove almost all contaminates that circulate through your home every day.